What Chemicals Cause PVC Sink Drain Pipes to Melt or Soften? One way to clear a clogged pipe is to pour boiling water down the drain. However, PVC pipes have a melting point of 176 degrees F. Pouring boiling water down a PVC pipe can soften the pipe. According to The American Society of Home Inspectors, PVC pipe is only rated to 140 degrees F under pressure (see Resources section). However, the chemicals in some drain cleaners can also cause PVC pipes to melt or grow soft. 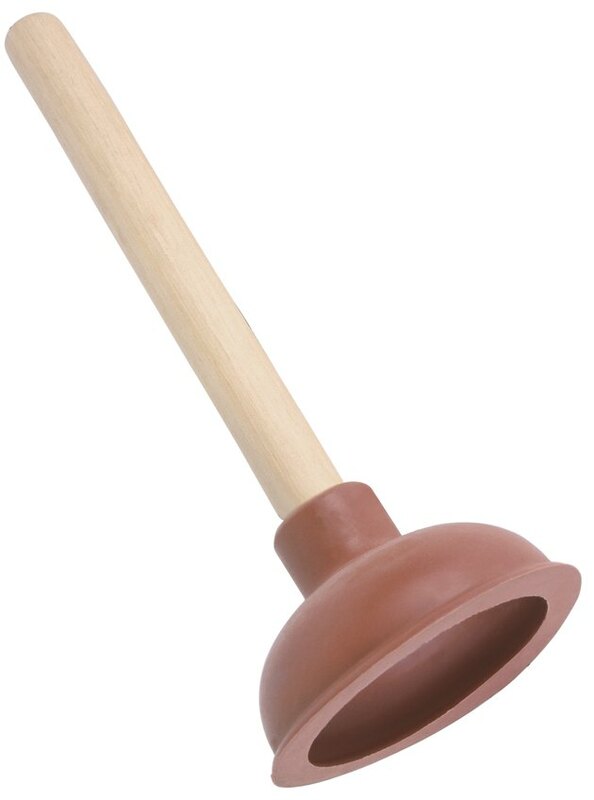 Toilet plungers are one of the most effective ways to unplug a clogged pipe. Three types of drain cleaners can cause PVC pipes to become soft: acids, caustics and oxidizers. The active ingredients of acid cleaners are usually sulfuric acid or hydrochloric acid. Oxidizers often contain sodium hypochlorite, while the active ingredient in caustic drain cleaners is usually sodium hydroxide, which is also known as lye. The chemical reactions of sulfuric acid, hydrochloric acid and sodium hydroxide generate large amounts of heat. In the case of sodium hydroxide, or lye, the heat may be enough to raise the temperature over the boiling point. Although the chemicals themselves are extremely caustic, it's the heat generated by the chemical reaction that causes PVC pipes to soften and melt. The situation becomes even worse when you use more than one product. Mixing caustic and acid drain cleaners results in a very strong reaction that causes so much heat that the chemical may erupt out of the drain. Sulfuric acid and hydrochloric acid both react strongly with water and generate heat when mixed with it, so trying to dilute the chemical may actually create more problems. Sodium hypochlorite, or chlorine bleach, doesn't by itself cause PVC pipes to melt (see Resources section). However, bleach and other oxidizers are often added to caustic drain cleaners to make them work better, because when the materials clogging your drain come into contact with oxidizers, the chemical reaction that occurs may generate extra heat. Granular forms of lye often contain aluminum particles that generate heat when they come into contact with water and release hydrogen gas. This additional heat only adds to the problem if you have PVC pipes. Enzymatic drain cleaners use living organisms to eat the material that's clogging your drain. They usually work slower than chemical drain cleaners and they often only work on organic materials, but they don't produce heat and they're noncorrosive. Enzymatic drain cleaners have a short shelf life. 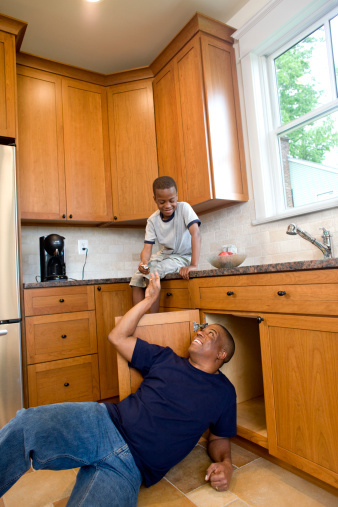 Mechanical methods to unplug drains include using a plunger or a plumber's snake.